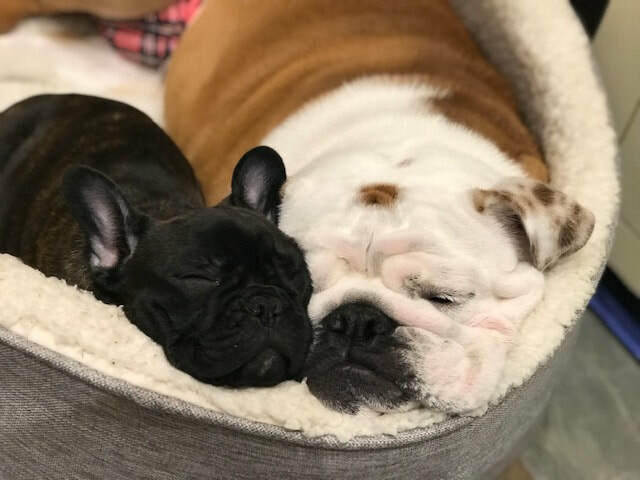 At Cambridge University, we are carrying out an important research project into the development of the nostrils in brachycephalic (short-faced) dog breeds. The breeds that we are looking at in this study are French Bulldogs, English Bulldogs and Pugs. In adult dogs of these breeds, there is a lot of variation in the widths of the nostrils. In this study, we are hoping to find out when is the earliest point in a puppy's life at which we can tell whether they will go on to develop wide or narrow nostrils. This will help to inform breeders and owners, so that together we can ensure that dogs of these breeds will be as happy and healthy as possible. We will analyse photographs of puppies taken over the first year of their lives, to look at how their anatomy changes. To do this, we need the help of breeders and owners like you.